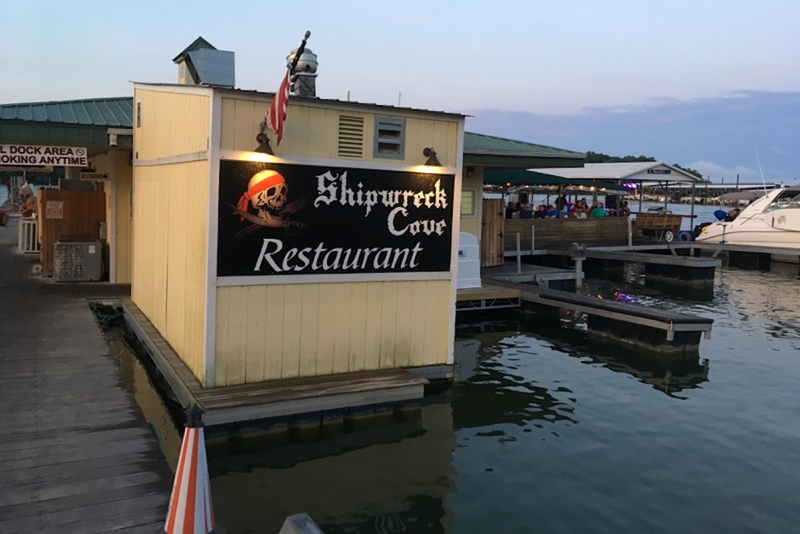 Enjoy some some beers and live music at the author's favorite lakeside bar, Shipwreck Cove at Percy Priest Lake. It has reasonably priced drinks, great bands on the weekends and the city’s best catfish. My partner Nick and I have been together long enough that our idea of a perfect date night is having some whiskey at home, playing a board game and falling asleep watching Bob’s Burgers with the dogs in bed. But seeing as we’re new to the artsy and music-filled city of Nashville, we’ve made it a point to actually leave the house now and then for some dates. In a big city like Nashville, it’s easy to drop money fast, especially if you live in the suburbs and want to park or Uber downtown. Given that Nick and I are frugal people — and the fact that we lost most of our belongings in a fire during our recent move — it was really important for us to find affordable ways to enjoy Nashville. Here are our top recommendations for cheap date. While it’s nowhere near as big as New York’s Central Park, Centennial Park is a great place to spend a sunny day outside. Nick and I have taken our dogs there to walk around the pond (and to play with so many other people’s dogs), and we’ve also spent afternoons together people-watching from the swings placed throughout the fields. You can usually watch or join in a game of frisbee near the Parthenon; we even once saw a group playing Quidditch. The Parthenon itself is a reason to visit Centennial Park. Built in 1897, the structure is a full-scale replica of the Parthenon in Greece, and inside there is a full-scale replica of the famous Athena statue. For just $6 a ticket for adults, you and your date can explore the basement of the Parthenon, which has been turned into an art museum, as well as the top level, where the Athena statue is. (If you and your date enjoy fine art, there are several other affordable museum experiences throughout the city, like the Frist Center for Visual Arts.) Bring a picnic from home to enjoy in the grass, and you’ve got a relatively cheap day out. Nick and I are definitely outdoorsmen who somehow wound up in the big city. Luckily, Nashville is next to the giant, 42-mile-long Percy Priest Lake, home to plenty of outdoor activities like boating, kayaking, biking, and — our favorite — hiking. I recommend the Volunteer Trail in Long Hunter State Park on the east side of the lake. The trail offers several options, including the four-mile Day Loop or the longer hike to the campground; the latter is a there-and-back trail with a total distance of 11 miles. Nick and I like this trail for the scenic, cliffside views of the lake and the ample opportunities to actually go into the water. The beach areas are great for the dogs to stay hydrated but are also wonderful and relatively clean swimming areas. And when we don’t have the dogs, we can take a short drive around the lake after a long hike and reward ourselves with some beers and live music at our favorite lakeside bar, Shipwreck Cove. It has reasonably priced drinks, great bands on the weekends and the city’s best catfish. If you’re after a more conventional date night in the city, you can certainly hit up several bars for delicious drinks and live music. Doing this on a budget, however, is not as simple. Uber and taxi prices are outrageous compared to our hometown of Dayton, Ohio, and drinks do not come cheap either. Our strategy instead is to park my car in the garage I use for work (it’s paid for anyway) and then have a few drinks at one bar and enjoy the live music. Then we tend to visit one or two more bars and stick to cheaper drinks — beers or soda for the designated driver — that we sip on very slowly. We still get to enjoy the Nashville nightlife and good live music, but it’s considerably cheaper. To get the true Nashville experience, I definitely recommend visiting either Tin Roof for the best live music downtown or the George Jones rooftop bar for the incredible view (and the misting fans). A little more than 20 miles south of Nashville is historic downtown Franklin. Nick and I enjoy spending the day there walking around, visiting the antique shops and getting lost in literature at Landmark Booksellers. My recommendation is to visit McCreary’s Irish Pub on a warm day during happy hour and to order a $5 pint (they’re buy one, get one free). After enjoying your pints on the (admittedly small) patio out front, roam the city and explore the shops. The best part? Parking is absolutely free. If you and your date appreciate fine art, join in Nashville’s First Saturday Art Crawl on the first Saturday of every month from 6 p.m. to 9 p.m. More than 20 galleries open their doors to the public for free to showcase new and classic artwork. Participating galleries span 5th Avenue of the Arts and the Historic Arcade. Nick and I had a blast talking about the art together, and we ate dinner at home beforehand to avoid restaurant costs downtown. Most of the galleries even offer free wine and other refreshments if you’re feeling thirsty. While Nick and I parked at my work and made our way on foot, you can find several discount parking opportunities and make use of the Grey Line Trolley to get around. For more than three decades, the Nashville Shakespeare Festival has attracted new audiences and lifelong fans of Shakespeare’s classic works to a completely free event at Centennial Park. Held in August and early September every year, Shakespeare in the Park not only hosts a live outdoor show on Thursday through Sunday evenings but also includes food and drink vendors and guest speakers. There is a $10 suggested donation. Nick and I have been counting down the days until this year’s festival begins. If Shakespeare isn’t your thing, however, you can also look for the Nashville Film Festivals’ free Movies in the Park every June or catch a flick at Belcourt Theatre ($10 general admission or $7 for members), which shows the year’s biggest blockbusters and lesser known indie and foreign films. Music City has a lot to offer. While much of it can be expensive, you can get creative with your date nights and really explore Nashville and its surrounding areas without dipping too much into your entertainment budget.